A sign, made for me and gifted to me, by my sister. Thanks, Kate! My word nerd tendencies can be found in pretty much every aspect of my life. Where I spend my time, how I spend my money, what I choose to talk about… usually revolves around the almighty word. Last October we moved into our new house, and this summer as we were getting ready to host a family reunion breakfast (for around 40 people!) I realized that I still had a bit of decorating to do. I also noticed that quite a few of my decorations leaned toward the literary persuasion. And because I am not shy about my word-nerdy-ness… I decided to share them with you. 1. A framed poem, written for me by The Roaming Poet while on vacation in Denver, CO. It sits on my bed side table. 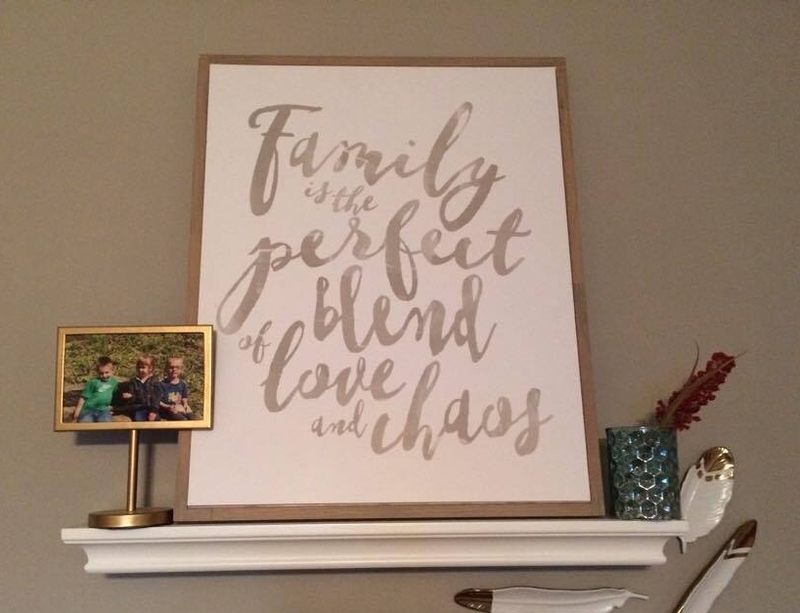 The frame is from Hobby Lobby. 2. A close-up of the framed page art I purchased at Target last week. 3. The three pieces of framed page art, as they hang from above the mirror in my bathroom. 4. 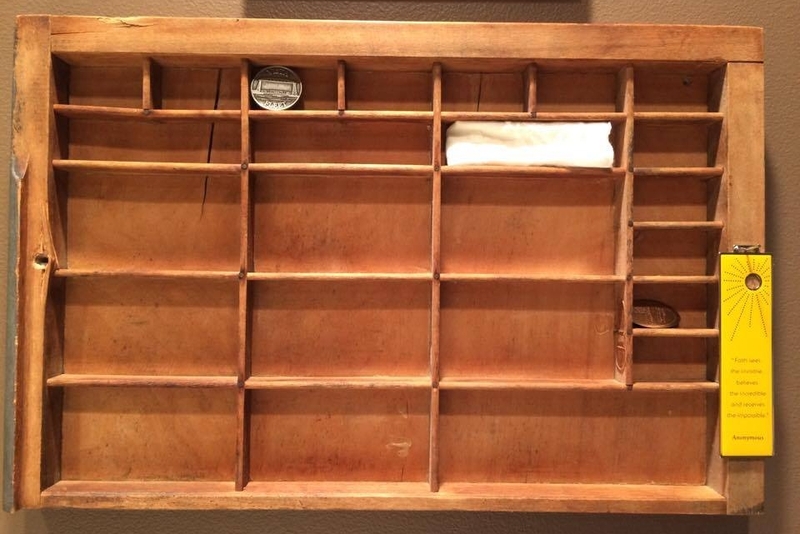 A printer box, that used to hold letters for a printing press, now hold my knickknacks, including a metal bookmark, now re-purposed as a decoration. 5. In my basement, book cases and copies of my books (framed by my husband as a gift to me each time one is published) help to decorate the space. 6. A poster autographed by my favorite author hangs on a wall to decorate my yet to be finished writing space. 7. This massive Z was one of the first pieces I bought for our new home. It was from the craft and hobby store, Michaels, but I don't believe you can buy them anymore. 8. 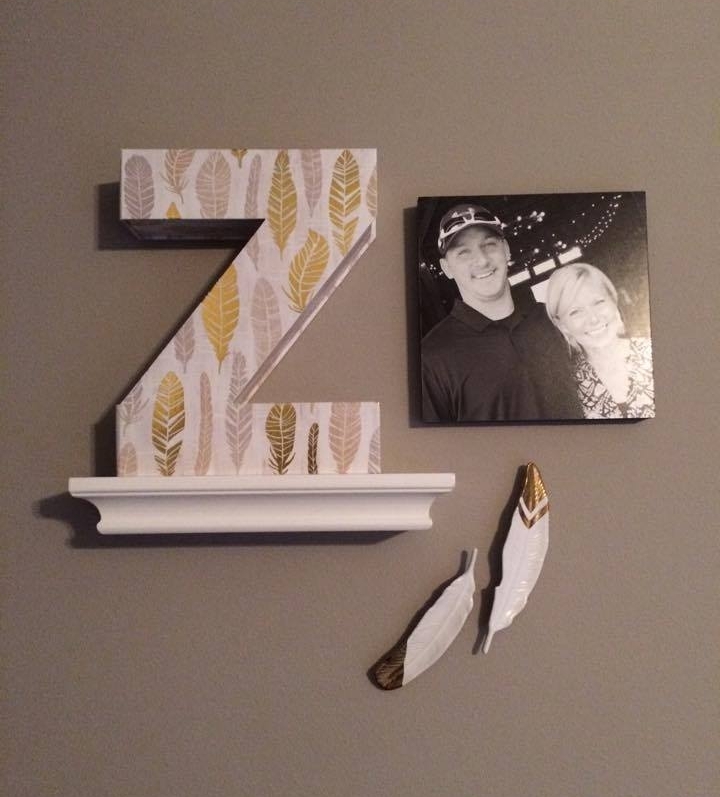 This word-art was a house warming gift from a friend and accented by shelves and gold tipped feathers from Target. The phrase could not be more perfect. Thank you, Lisa! 9. This final item was also a house warming gift from one of my long time friends, Sarah. She knows me pretty well, huh? Thank you fellow word nerd, for adding to my literary decor collection. What’s your obsession? Does it show up in your home décor? Comment with a picture below! Until next time nerds, happy writing and happy decorating!